We will look here at every single planning application involving the land uses concerning the abandoned original claypit which became “the rattlechain lagoon”, and the surviving rattlechain brickworks which appears to have continued “to operate” throughout the Second World War. AS WE HAVE STATED PREVIOUSLY, THERE IS NO RECORD OF ANY PLANNING APPLICATION STARTING SINCE THE CREATION OF THE TOWN AND COUNTRY PLANNING ACT 1947, WHICH SUPPORTS ANY CHANGE OF USE FOR “THE ABANDONED CLAYPIT” TO BECOME A CHEMICAL WASTE DUMP. The abandonment of the original claypit did not end brickmaking at the Rattlechain brickworks site, with etruria marl being dug from a new claypit dug to the East of the old pit (which is now the Rattlechain Lagoon) and south of the original brickworks buildings. In order to present the complex history of the site we will look at it upto 1971, and the determined end date of the brickworks. Nature .of Business: BRICK MANUFACTURERS. 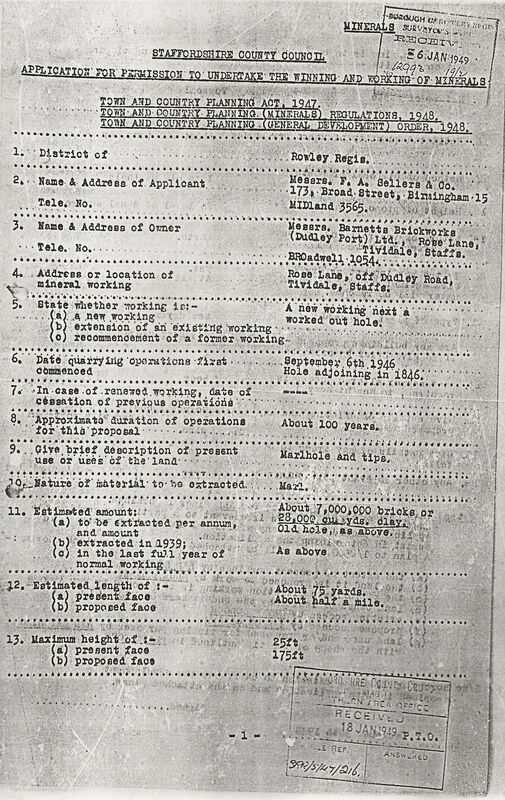 Address of Registered’ Office: Union Road, Oldbury, Warley, Worcs. 52 Lower City Road, Tividle, Tipton, Staffs. Date of Appointment: 4th November 1971. The history of the site prior to 1949 is described in planning documents to Rowley Regis Council, the then planning authority. This information submitted on behalf of the brickworks by agents F. A Sellers and Co. confirms several key statements about this site, (or that that their client wished to portray as facts of the case). 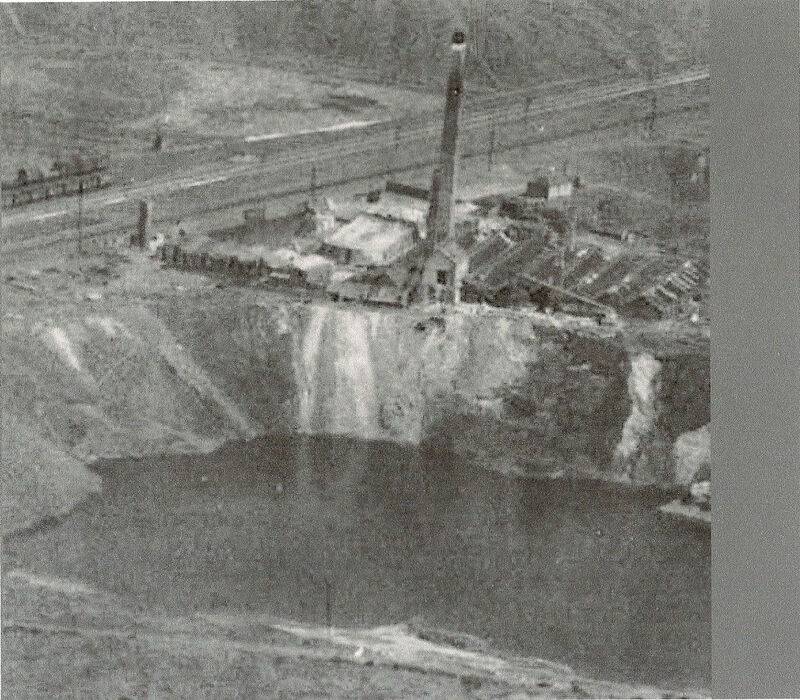 that the new brickworks pit, at 25 ft in depth had been commenced on September 6th 1946 and was proposed to reach 175 ft. The old pit (rattlechain lagoon claypit) of “The Rattlechain brickworks” commenced in 1846. 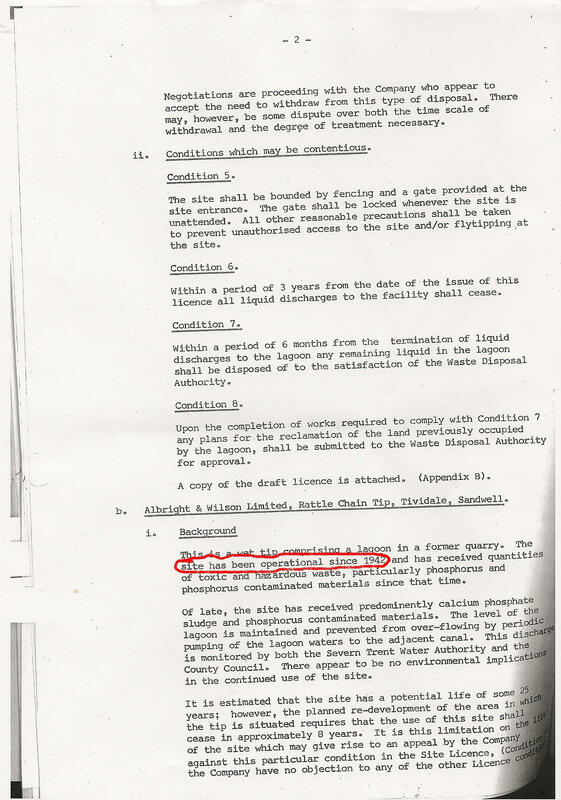 Thus this appears to indicate that at this time, Albright and Wilson do not own the claypit that waste was being tipped into, nor have they “acquired” it by 1949 as Rhodia have consistently tried to present in documents. It is claimed that 7,000,000 bricks were to be extracted at the newly dug pit site and crucially that the same amount had been extracted from “the old hole” in 1939 before the second world war had commenced. 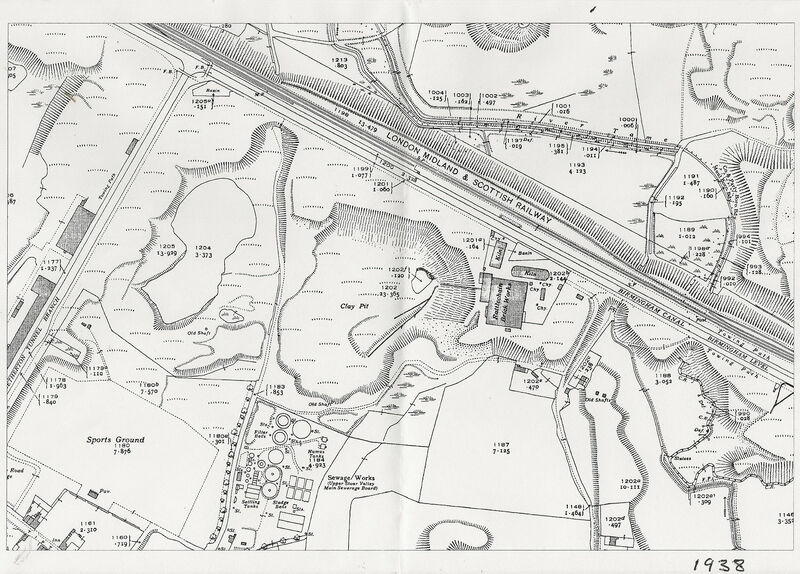 This confirms that the site shown on the 1938 map was in use at this time for marl extraction brickmaking or so the agents for the site owner claim- yet by September 6th 1946, the new claypit had been dug to continue operations, which indicates that clay extraction from the old pit had ended some time during this alleged period. That the land is “fenced with posts and wire”- but there is no indication as to which parcels of land they are refering to- the old pit, the new pit or the entire site. We also have to take their word for it- as with every other piece of information in the application. This therefore appears to confirm that a layer of non clay waste covered whatever had been or was to be later tipped BEFORE Albright and Wilson took over commencement of waste tipping themselves. THIS APPEARS TO CONFIRM THAT THE BOWL OF THE WASTE MASS AT THE LAGOON IS NOT FOUNDED ON ETRURIA MARL ITSELF, BUT FAR LESS STABLE WASTE TIPPED THERE AFTER CLAY EXTRACTION HAD ENDED. 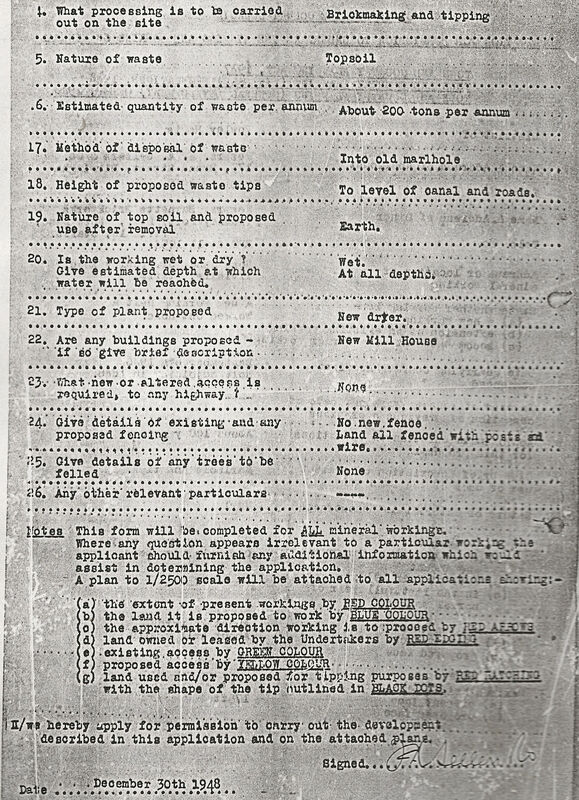 Throughout the planning history of the site, Albright and Wilson and their operations are never mentioned at all before site licensing in 1974. It would appear that like Samuel Barnett before him, that Sydney Sheldon had envisaged the use of the land for profit in tips, and that brickmaking was more of a sideline distraction that would not last for very long. Indeed, there are many things as will be revealed about the owner of this brickworks at the time, which do not on the face of it appear to add up.